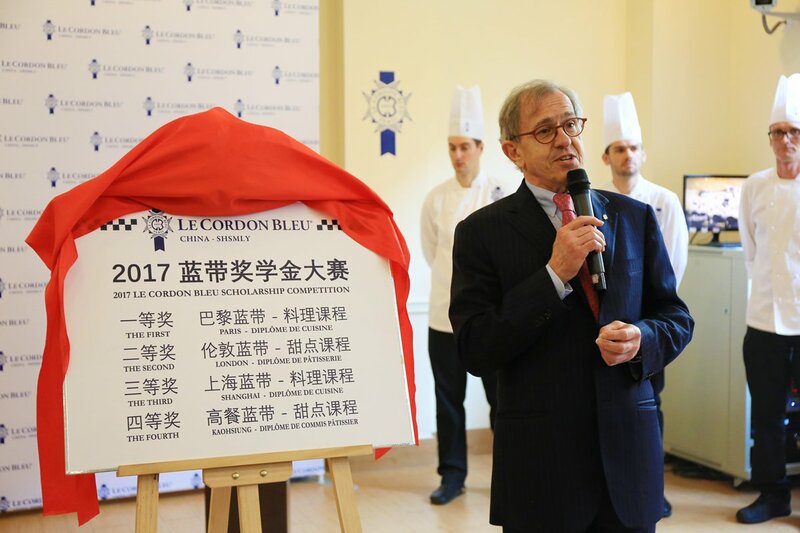 May 13, 2017 Shanghai – Le Cordon Bleu Shanghai had the great honor to welcome the presence of Mr. André J. Cointreau at the Unveiling Ceremony of Le Cordon Bleu SHSMLY Hospitality and Culinary Arts Centre of Excellence with three new programmes released open for registration. 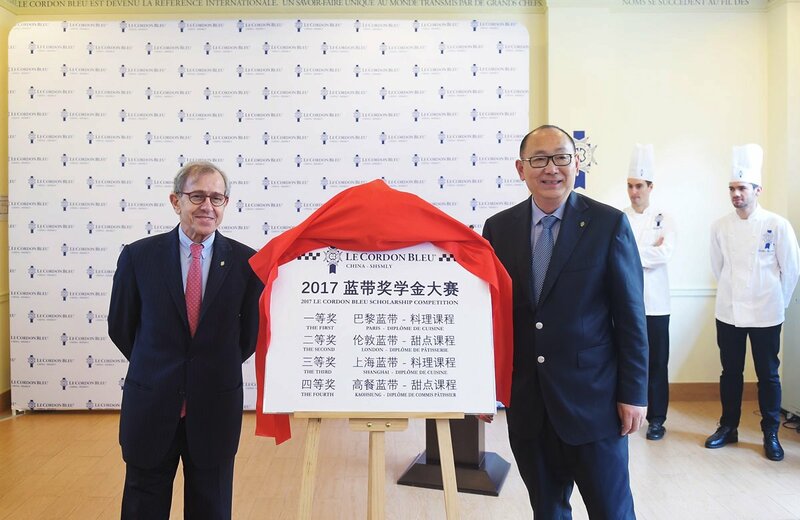 The 2017 Scholarship Competition and the first Le Cordon Bleu Alumni Competition of the Greater China Region were also officially announced. 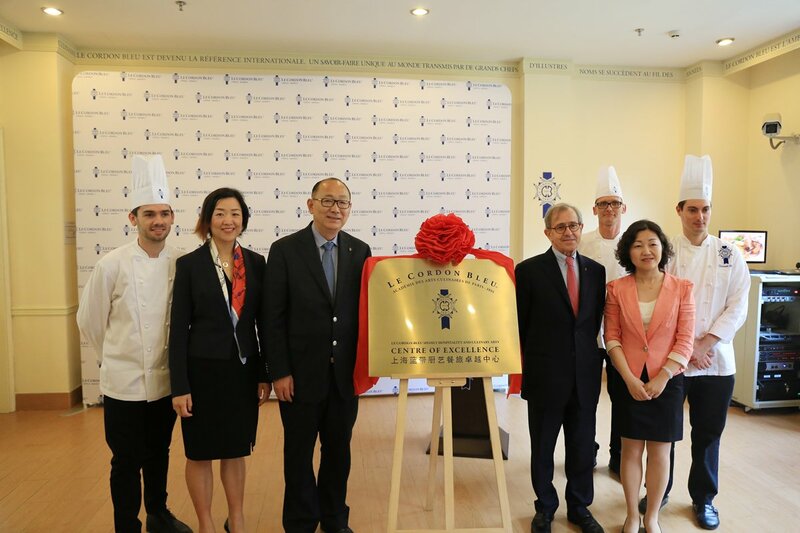 With the unveiling of Le Cordon Bleu Shanghai Campus Building II, namely the Le Cordon Bleu SHSMLY Hospitality and Culinary Arts Centre of Excellence, three new programmes of Le Cordon Bleu Shanghai were also announced available for registration, the three signature programmes of Le Cordon Bleu International: Diploma in Wine, Gastronomy and Management, Diploma in Culinary Management and Diplôme de Boulangerie (Bakery). We have quite a few non-profitable programmes around the planet with important scholarship programme which gives the motivated students the possibility to shine. 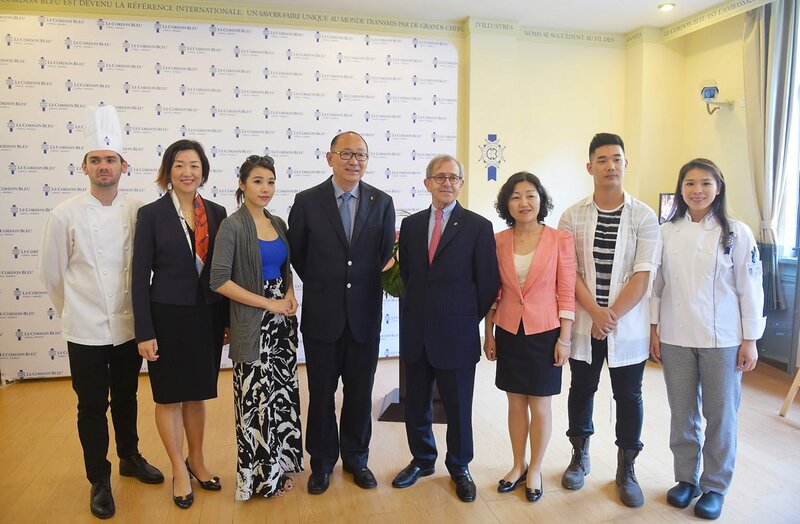 The launch of the first Le Cordon Bleu Alumni Competition was also announced to encourage all Le Cordon Bleu Alumni from the Greater China Region to participate to showcase their techniques and talents. A free pair of one cuisine and one pastry alumni was suggested to compete as one team to present a complete set of three-course menu and the Champion will be issued the Top Prize of Study Tour to Le Cordon Bleu Paris or London. 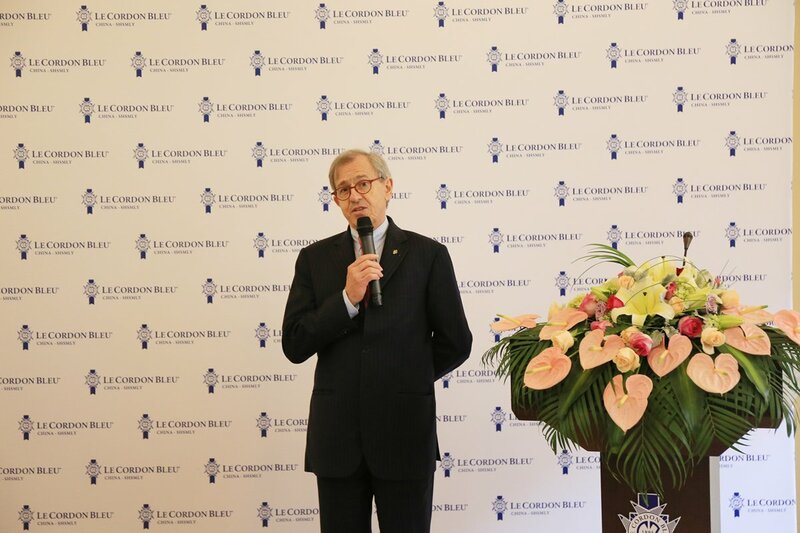 Just as Principal Xia Hua Li mentioned, in view of the historic opportunity of Shanghai’s bidding for the hosting of the 46th World Skills Competitions and China’s initiative of “the Belt and Road”, Le Cordon Bleu Shanghai would play a more crucial role in providing vocational training of high-quality to the vast majority of students. 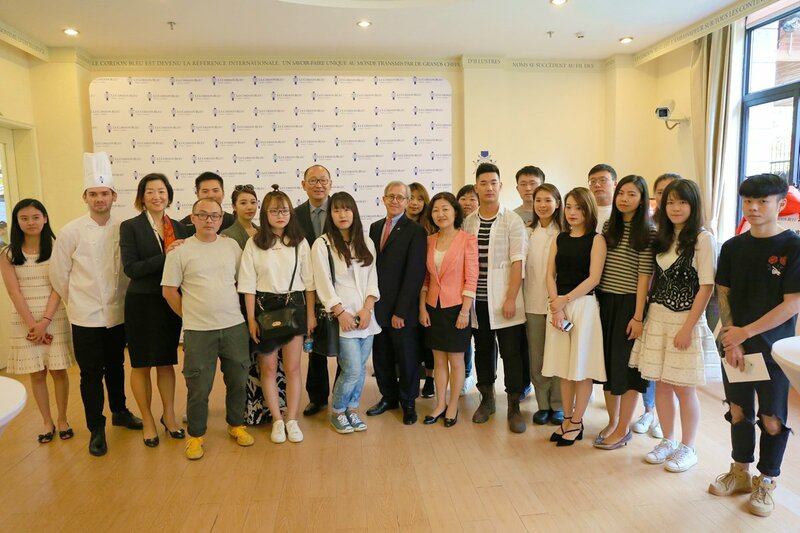 As the 5th season of The Greater China Le Cordon Bleu Scholarship Competition, participants from Mainland China, Taiwan, Hong Kong and Macau, ages from 17 to 45 with less than 2 years’ culinary experience can take part. 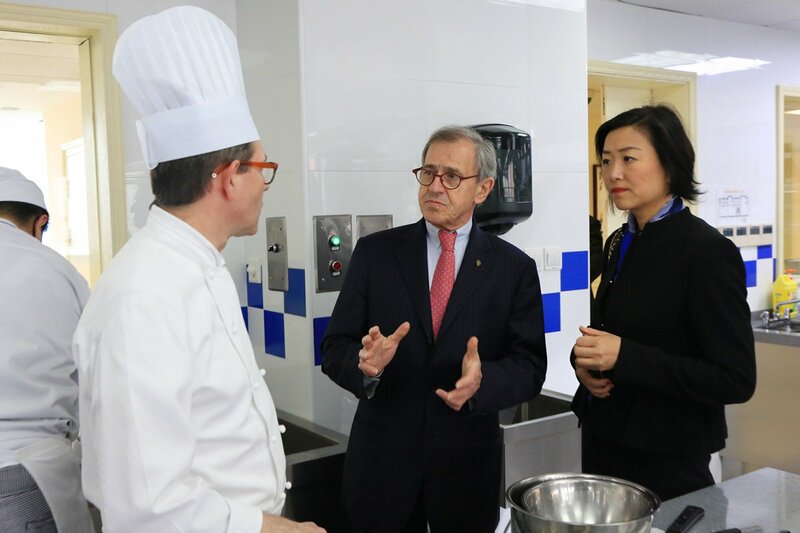 The stages include Online Video Audition, Semifinal (to take place at Le Cordon Bleu Shanghai and Kaohsiung simultaneously) and Grand Final (at Le Cordon Bleu Shanghai). The final Top 4 will stand out to receive prizes respectively of full scholarships from Le Cordon Paris, London, Shanghai and Kaohsiung campuses, valued around 1 million RMB. Ms. Sara Shang, Director of Le Cordon Bleu Greater China RSU mentioned that the aim of the Scholarship Competition was to seek and develop more culinary talents through competitions. She also mentioned that prizes of Le Cordon Bleu books, aprons or other Le Cordon Bleu gifts would be granted to people who participated in the stage of online voting.